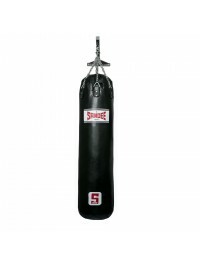 In combat sports such as MMA, Muay Thai & Kickboxing, there are many types of punchbag. 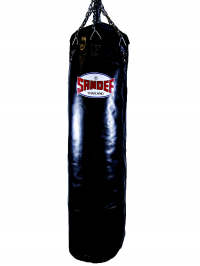 In combat sports such as MMA, Muay Thai & Kickboxing, there are many types of punchbag used by many athletes or general fitness enthusiasts. 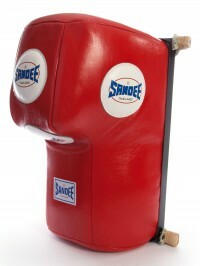 The SANDEE punchbag range has been constructed for practising kicking and other striking manoeuvres in addition to developing punching & kicking technique. 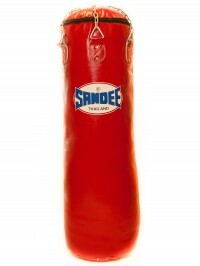 An athlete generally uses the SANDEE punchbag range from the front with their fists, but it is also built to last and thus elbows & kicks can hit the bag from all around the bag, including the front, back and sides and there will no risk of damage to the bag. 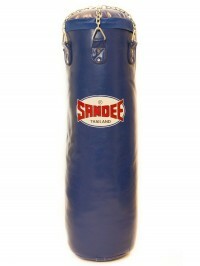 The durability of the SANDEE punchbag enables athletes to toughen hands & legs and build power into their technique. 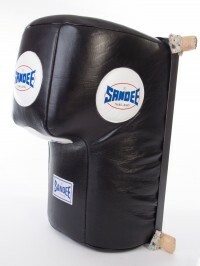 100% hand crafted in Thailand, SANDEE punchbag range includes both full leather & leather/canvas products. 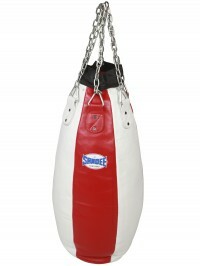 The leather punchbags are constructed of extra thick premium grade genuine cow hide leather outer shell with premium grade canvas full-length supportive inner lining. 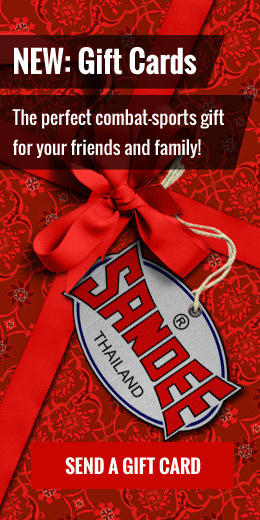 There is quadruple stitching and stainless steel rivets in all stress area’s with doubled over extra thick premium grade genuine cow hide leather hanging loops for ultimate longevity & durability. 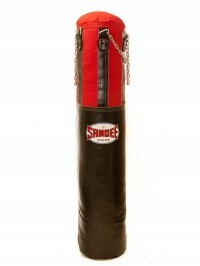 The ultimate full leather heavy is also used by David “The Haymaker” Haye in his personal gym. 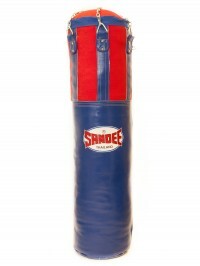 The SANDEE punchbag range is available in 4 foot, 5 foot & 6 foot sizes and in 3 colours; blue, black & red.